Are you starting to think about putting a new swimming pool in your backyard? The benefits of adding a swimming pool to your home are numerous, from the boost to your home's value to the days of fun in the sun that your family will have. But swimming pool construction can be expensive, and many homeowners considering installing a swimming pool are looking for ways to save money any way that they can. One sure strategy to save money on your swimming pool addition is to act as your own general contractor. While owner-builder swimming pool construction does require more work on your part, the benefits can make the effort worth it. The main benefit of acting as an owner-builder for your swimming pool construction is clear: you stand to save a substantial sum of money by coordinating the proper subcontractors yourself. If you chose to hire a general contractor instead of acting as an owner-builder, you facing paying your general contractor a percentage fee of up to 25 or 30 percent of the total project cost. On a typical swimming pool construction and installation, this can easily add $10,000 to $15,000 to the overall cost of the project. Acting as an owner-builder does take time and a little legwork, but the potential cost savings are staggering. What could you do with an extra $15,000? The money you save by acting as your own general contractor could go directly back in your pocket--or you could choose to put the money you save on a general contractor toward adding upgrades to your swimming pool that you would have been unable to afford if you'd gone with a traditional pool builder. 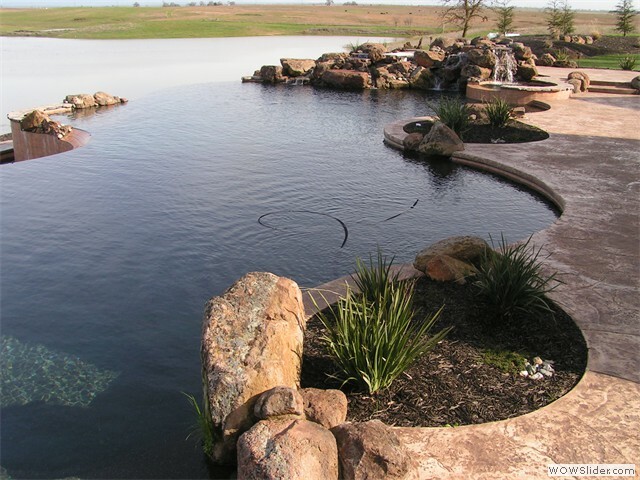 Do you imagine your backyard with a dramatic water feature like a rock waterfall or a fountain? Would you like a spa to go alongside your swimming pool? Could your family benefit from the added safety of an automatic safety cover? With the savings you generate by acting as owner-builder, these upgrades may suddenly be within your budget. By acting as owner-builder for your swimming pool construction, you are able to exercise full control over the design of the pool. Many general contractors have a set philosophy toward swimming pool design and might be unwilling to incorporate many of your desired design elements. Acting as your own general contractor grants you the freedom to dictate the style, shape and size of your pool within the bounds of local regulations. While choosing to act as your own general contractor for your swimming pool, construction requires more time and effort, the potential cost savings and added design freedom are significant. Anyone researching swimming pool contractors in Sacramento should consider the benefits of owner-builder swimming pool construction.